Jan 31 2018 (IPS) - Mark Ritchie, former Minnesota Secretary of State and former president of the Minneapolis-based Institute for Agriculture and Trade Policy, sent Felix an email about a very interesting interview with Kevin Watkins, the CEO of Save the Children Fund (UK). The interview and commentary was by Russell Hargrave in devex: “Save the Children CEO on a new era of competition for aid”. We hadn’t picked up that Kevin had left ODI and gone to Save in September 2016. A little background on Save and the SDGs: Save the Children was the last development oriented organisation to campaign against the SDGs, and instead kept lobbying for an MDG+ agenda. This continued up to the G7 meeting in 2014. There was also the controversy and the rebellion of the Save staff (including others) over a ‘Global legacy award’ given to Tony Blair in March 2015. All this took place under the previous management of Save UK. Also, there are always questions concerning which private sector NGOs partner with. It was worrying that Save had partnered with ExxonMobil which then was campaigning against and placing misinformation about climate change. Did that impact Saves policy on climate change or could it perhaps do so in the future? Also, if children are at the forefront of the impacts of climate change is it a good policy to take money from a company that is working to slow down or stop action on climate change? It would be a little like an organization that is addressing cancer and at the same time is taking money from a tobacco company. The need for some form of transparency around private sector investments would be addressed if the push for all companies listed on the Stock Exchanges having to produce their Environment, Social and Governance Reports as a listings requirement similar to producing their economic reports. Kevin has done excellent work at Oxfam, ODI and as Director of the Human Development Office in UNDP. The Human Development Report, also among his responsibilities, is one of the very best UN reports produced each year. The devex interview focuses on the increased momentum towards creating partnerships with the private sector. It’s clear that the delivery of the SDGs will need private sector financing and investment as the amounts that are being quoted to deliver the SDGs are in the region of $3-5 trillion a year which incidentally dwarfs ODA contributions by more than a factor of 10. The need for some form of transparency around private sector investments would be addressed if the push for all companies listed on the Stock Exchanges having to produce their Environment, Social and Governance Reports as a listings requirement similar to producing their economic reports. Something that has been called for by two UN Secretary General High-Level Panels (2011 and 2013). Those of you who read this blog regularly will have noticed a repeatedly raised concern about the lack of accountability regarding multi-stakeholder partnerships (MSPs) within the UN. At least that is the case for those that are registered in the UN database. Beyond that, there are serious questions about accountability in those partnerships that the UN is directly involved with. There is little or no Member State oversight and a lose set of rules. This is a high-risk situation that needs to be addressed. It could have a disastrous impact on the UN’s reputation if a partnership should go wrong. There have been a number of criticisms levelled at different partnerships with different corporations that the UN has agreed to. If you are interested in this we recommend a very good paper by Barbara Adams and Sarah Dayringer on UN partnerships with the private sector. There have been a number of papers that have been presented in preparation for the ECOSOC Partnership Forum events over the last three years which are worth reading. They address both MSPs and PPPs – which are unfortunately often confused and criticism (or enthusiasm) is aimed at both even when the main critical point is private sector engagement and in particular contracting to private sector entities (see endnote). The Secretary General’s new report on the “Repositioning of the UN Development System” begins to address this. The report makes the argument that partnerships need to scale up their approaches to partnership building at the system-wide level to help deliver the SDGs. The SG recognizes that the present approach is inefficient, opaque and unnecessarily risky, particularly as it relates to due diligence. The report suggests that the Deputy Secretary General (DSG) should make partnerships a “top priority” proposing that the Resident Coordinator Offices in counties should be “one-stop-shops” for partnerships with a full range of stakeholders. This has some serious implications for the whole UN family as many UN Agencies and Programmes are doing their own things, all to different standards of accountability and due diligence procedures (if any), and in most cases without any Member State oversight. Coordinate a process within the UN Development Group to agree on a system-wide approach to partnership. Strengthen system-wide integrity, due diligence and risk management. The Global Compact has been asked to consider ways to improve governance at the global level, and its oversight and the impact of its Local Networks. The UN Office for Partnerships will be firmly established as the UN’s global gateway for partnerships. Further development of the partnership with the World Bank and other International Financial Institutions for a refreshed system-wide compact around high-impact actions. A new agreement with the WB will be finalized by mid-2018. Invigorate support to South-South cooperation, particularly ahead of the high-level conference in March 2019. This could include organizational reforms. We mention this because multi-stakeholder partnerships can help deliver the SDGs. 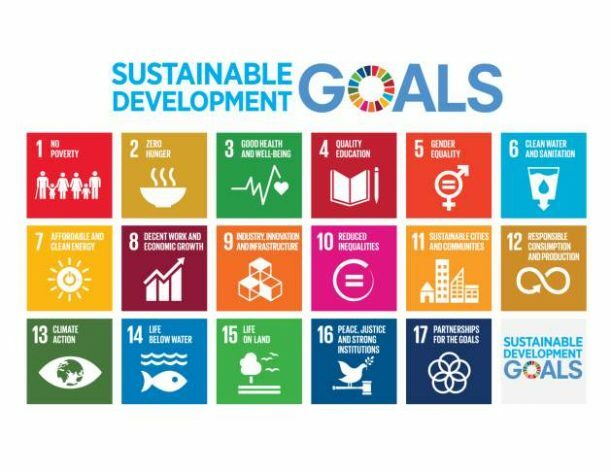 The World Summit on Sustainable Development (WSSD) in 2002 was the first conference where the intergovernmental world recognised that multi-stakeholder partnerships (then called “type 2 agreements”) could help deliver global goals and targets (called “type 1 agreements”). Unfortunately, the outcome from WSSD was not at the level that was expected: it failed to add any more goals to the MDGs and only added one target on sanitation to the MDG targets. We have been great supporters, practitioners, and coaches of multi-stakeholder processes and partnerships as an intrinsic element of the delivery mechanism for global agreements – mobilizing all sectors of societies for participatory, inclusive and effective consultation and implementation. But we have been very disappointed with their impact over the last 15 years. The lack of impact was partly because there was no investment into developing a system of accountability; neither were there any systems devised to support them and provide services for them. Also, without clear goals and targets and indicators it proved difficult to focus implementation around the outcome from WSSD. This is not the case with the SDGs, as all their elements are in place: goals, targets and indicators. We have argued that we need a Charter for Multi-Stakeholder Partnerships which might go as far as to have MSPs audited against a set of principles. If such a Charter was created among the NGOs and they signed on to it as a commitment demonstrating how they will approach partnerships, there would be an opportunity to see whether a partnership was delivering, whether it was founded on a set of agreed and accepted core principles, and how these principles were being put into practice. In the devex interview with Kevin, Save is clearly at the forefront of NGO partnerships development, and seem to be on par with other large development NGOs such as World Vision and Care. The idea of a Charter is being supported by CIVICUS Secretary General Danny Sriskandarajah and former CIVICUS and Greenpeace and now Amnesty International head Kumi Naidoo. In order to develop the Charter, these and other organizations’ experiences should be used to help build an effective accountability framework for partnerships. This brings into focus something that some people kept asking themselves during the SDG negotiations in 2014: Was Save the Children arguing for an MDG+ agenda because they believed it to be the right agenda, or were they lobbying for this solution simply to protect their funding? Now, if Save the Children and other NGOs are moving on to engaging in more and more competitive tenders to deliver services, we have to as: what really distinguishes them from the private companies they are tending against? Are they still to be considered as non-governmental, or civil society organizations? At the UN, individual private sector companies and for-profit organisations are barred from accreditation. How are we – or the UN – going to handle NGOs signing commercial contracts on par with private companies, and on top of that also making money? And what happens when they also enter into contracts with lucrative partnerships? As more and more NGOs seem to look at creating social business or for-profit arms in order to address the growing challenges of resourcing, more and more hybrid organisations seem to emerge. Such questions were also discussed at the recent CSO conference “Global Perspectives 2017: New Resources for New Programmes”). Much of the resourcing challenge is political as increasing numbers of governments restrict the abilities of NGOs, foundations and private philanthropists to work in countries other than their own – often under the heading of anti-corruption measures but actually motivated by the wish to clamp down on civic rights. At said conference, there was much and creative discussion about new programming and resourcing strategies, including working more closely with and driven by volunteers and members, creating social enterprise, and working in partnerships with business and governments. Someone came up with the slogan “grants are for losers!” which was picked up repeatedly. David Booth (ODI) explained that NGOs, in particular international civil society organizations, will have to become “more politically smart, adaptive and locally led” in order to contribute more effectively to bringing about sustainable development. Obviously, this will need to include different, possibly more flexible, possibly more diverse strategies of resourcing. If it does, it may change the stakes of such organisations – i.e. their interests, needs, and influences in processes where they engage as stakeholders. There is a “Civic Charter”, developed and launched by non-government organisations in 2016, setting out rights and responsibilities around basic freedoms, civic participation, and accountability. This is in part to counter said accusations that limit NGOs’ ability to move and speak freely. An MSP Charter will help address some of the questions raised above regarding engaging in for-profit work like service delivery contracting, picking up consultancies, developing social enterprises, and generally entering into partnerships not only with business but with all sectors in societies. “We are not exempt from value for money considerations, just because we are an NGO … I don’t want to be part of a sector that hides behind empty rhetoric about our own NGO status. These are the basic functioning units of a business. Over the last few years we have put very significant investment into all that delivery infrastructure and procurement infrastructure.” He goes on to identify that what distinguishes NGOs from their corporate competitors, is the area of transparency and also that they have long-term relationships with partners in country. But is this enough? Can businesses not point to exactly the same? It is high time we begin to discuss these complex issues as they all touch sensitive areas of NGO existence – not the least the issue of credibility. Perhaps a good beginning could be around the Charter for MSPs where Principles for Partnerships with the private sector is a minimum. NGOs who signed on to such a Charter could then make sure that they would reflect those principles in any relationships they would have with the private sector. It would not solve all the complex issues, but it would be a good beginning. Or are we moving closer to privatizing parts of the NGO community? Are grants really only for losers? Multi-stakeholder Partnerships (MSPs) for sustainable development are specific commitments and contributions, undertaken together by various partners intended to support the implementation of transformation towards sustainable development and help achieve the Sustainable Development Goals (SDGs) and other relevant sustainable development agreements. Private Public Partnerships are principally contractual arrangements between single or several public agencies (federal, state or local) and single or several private sector entities. Through such arrangements, the skills and assets of each sector (public and private) are shared, in delivering a service or facility for the use of the general public. Other stakeholders might be sub-contractors in a PPP. (see Hemmati, M & Dodds, F. 2017. Principles an Practices of Multi-stakeholder Partnerships for Sustainable Development – Guidance and Oversight from UN Decisions, prepared for a workshop of the Friends for Governance for Sustainable Development, New York.